On the roof of Iran and the birth place of undeniable myths tied with the culture and history of Persia, challenge of a lifetime calls every nature enthusiast. This is the kind of experience which imprints everlasting memories on the mind. 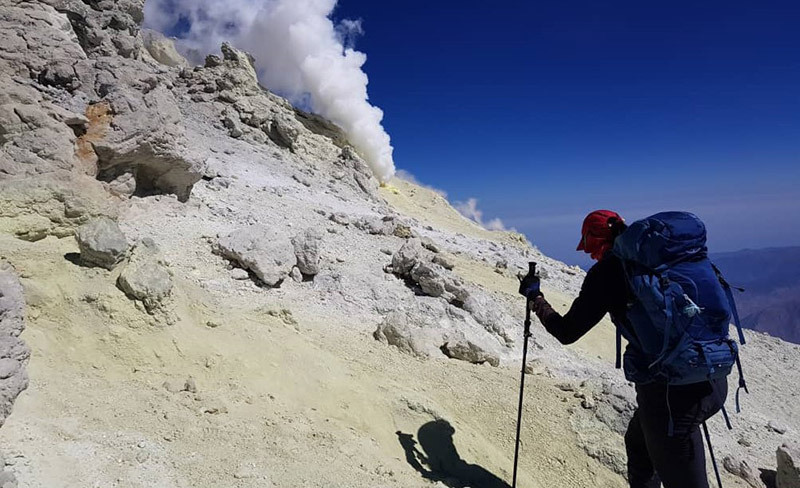 Go for it to conquer this white jewel on a four-day trek ascend to the 5609 meters to hug the highest potential volcano peak of Middle East and listen to the thousand year old legends of it putting your ears on its bosom. 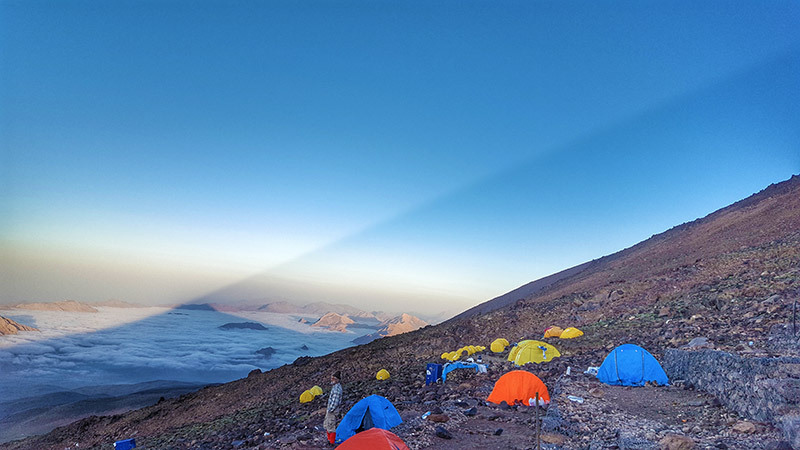 Climbing Mount Damavand is more than trekking, it's an encounter with legends. 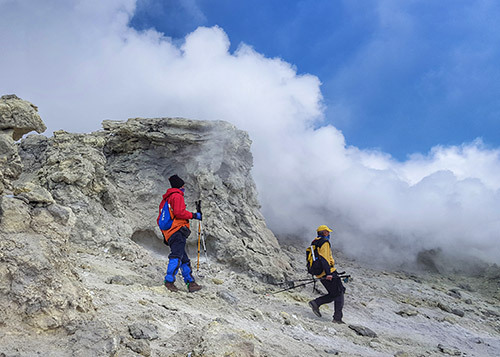 Your adventure starts in Tehran, from where the snow cone-shaped peak of Mount located in the central part of Alborz mountain range, is visible just reminds its Japanese counterpart Mount Fuji. Standing proudly at the horizon, it's one of the world's most accessible 5000 meters mountains. Yet, it's not without challenges. 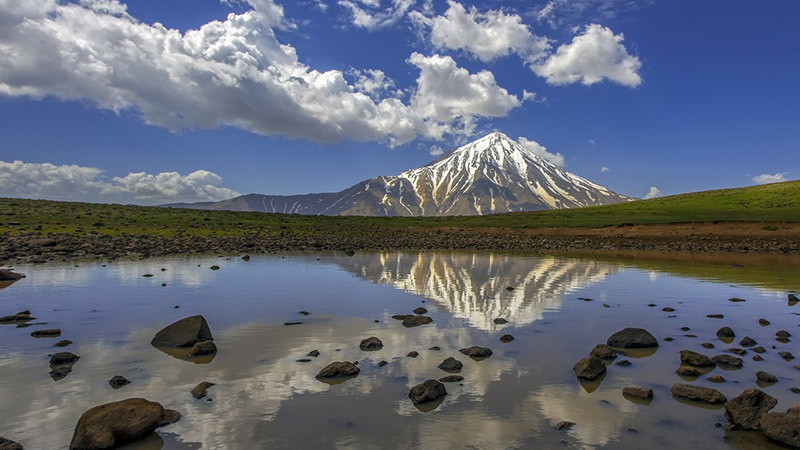 In spring, the surroundings of Mount Damavand are stretched with fields of yellow and red flowers, testifying of the preserved natural life of Lar National Park. Gather your strength, materials, and get ready to challenge the giant volcano. It's at her footstep, already at a height of 3000 meters, that you spend your first night, in a sacred shelter: a picturesque mosque with a shining golden dome. It's time to get accustomed to altitude while getting closer to the peak by each step. Wake up the next day in a nest of wildlife and be ready to ascend the symbol of Iranian resistance. Slowly step on the icy path as you go further to reach the night shelter, at 4200 meters. "The mountain from which smoke and ash arises"
Appreciating the dramatic view on your way, you can realize why this massive volcano has been the center of many tales, from Zoroastrian texts to Persian poetry. Enveloped in a halo of cloud, it's a place of rich wildlife, and even if its last eruption occurred 7300 years ago, it's not totally dormant. On your way to the crater, you can smell the disturbing aroma of sulfur expelled in the air. "The mountain from which smoke and ash arises" has not fallen asleep yet. After a night of deserved rest in advance camp waking up and having breakfast in the light of the head torches it is time to meet up with gorgeous peak. Going upper, you can enjoy a breathtaking view over the Lar Lake which spread at the mountain's foot. On the peak pour your soul with the once in a lifetime landscape then head down prior to the sunset, for the last night in the bed of the mountain. On the last day, get back to the golden-domed mosque, before reaching Polour, progressively getting accustomed to seeing sights of civilization again. 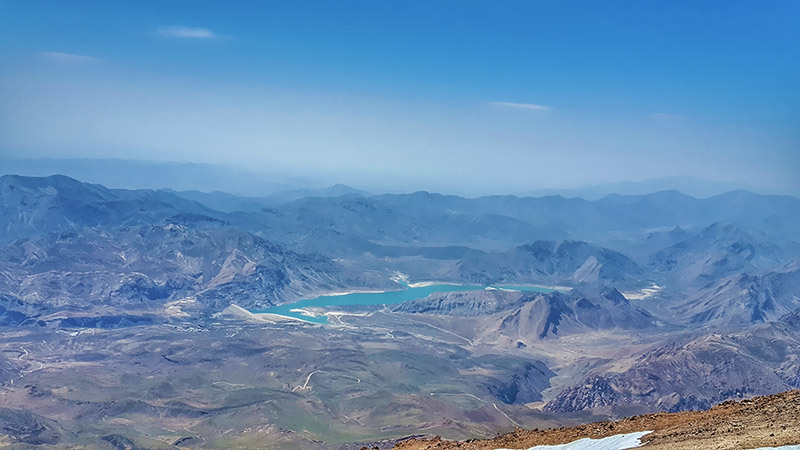 As you reach Tehran, you bring with you a sense of gratitude and fulfillment, after having surpassed your own limits in the heart of the mythical Mount Damavand. You will be collected from your accomodation by your guide. Leaving Tehran to Polour city, in the way we can visit Imamzadeh Hashem shrine in the rocky trail of Alborz mountains. Getting to Iran's climbing federation building, where we are having lunch and getting ready to head to the next level with 4WD jeep. We reach the Mosque, or second camp, at altitude of 3000 meters. Giving loads to the mules and start getting used to altitude. Overnight in camp tent. Start climbing up to the next shelter, at 4150 altitude, enjoying the view of Lar Lake and the dam. Rest in high camp and have a meal. Overnight camp in advance shelter. Waking up at 4:30, we are having breakfast and start ascending to the peak. We gain 1140 meter elevation in 7-8 hours, before descending for 2 to 3 hours. Overnight in advance camp. Back to the mosque from high camp in about 2 hours before driving to Polour (2 hours). From there, the transfer to Tehran takes about 3 to 4 hours ride.